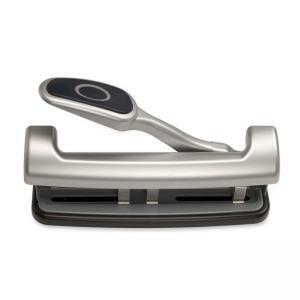 EZ Level 2-3 Hole Adjustable Punch features a padded lever handle that makes it easy to punch through 15 sheets. See-through window shows chip buildup. Chip dispersal mechanism prevents jams. Adjustable punch features an easy-to-remove chip tray. Adjustable punch is made of metal.